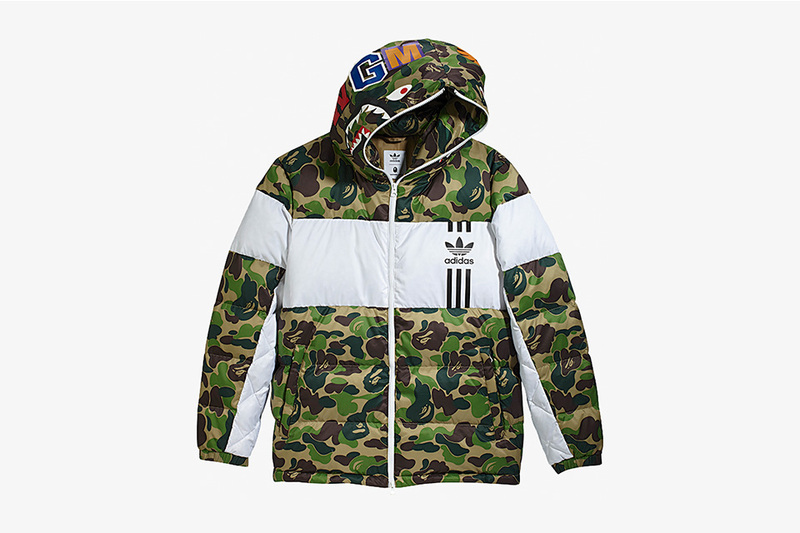 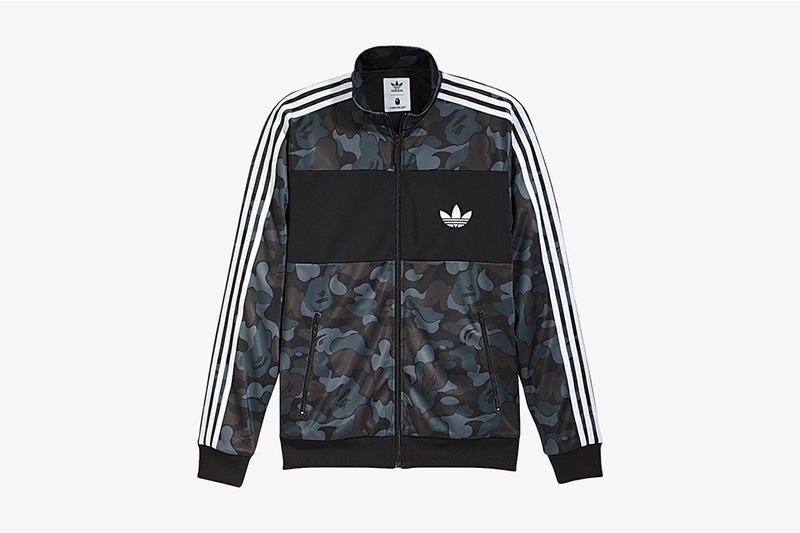 Next week, BAPE and Adidas originals’ highly-coveted collaboration will be hitting retailers in locations Western Europe January 12th. 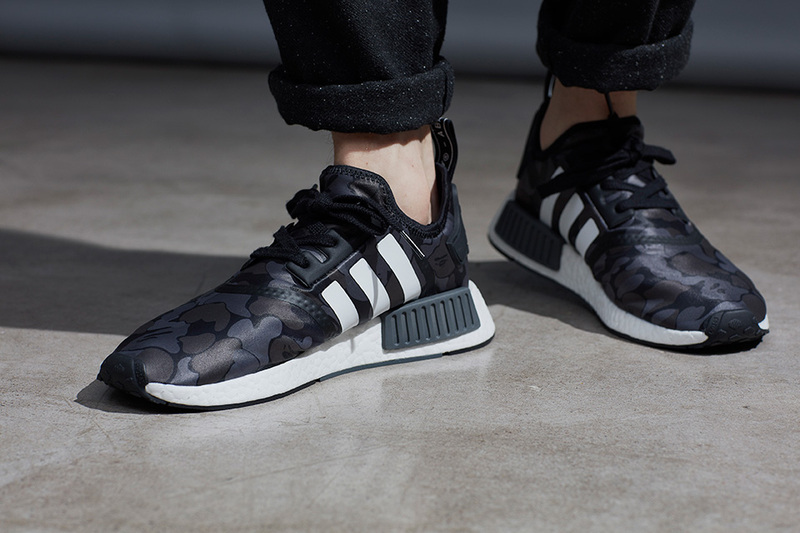 The full collection contains two NMDs, a Firebird track jacket, and a winterized ID96 down jacket. 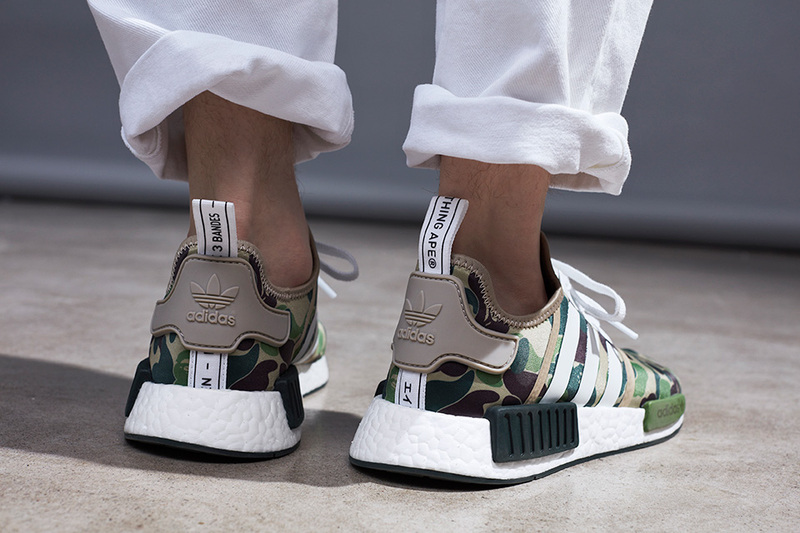 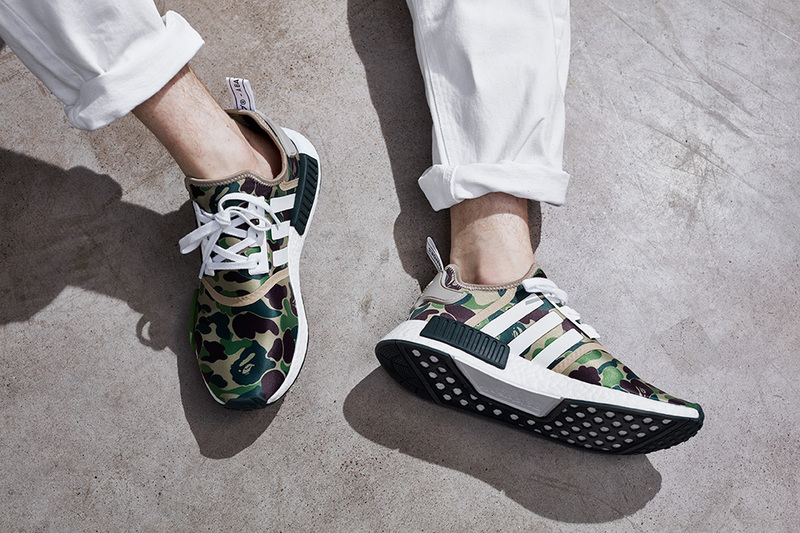 It will also include both colorways for the outlandish BAPE NMD sneakers.